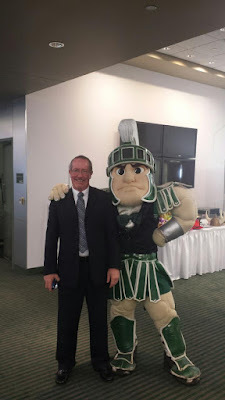 My Alma mater, Michigan State University is playing in the College Football Playoff game tonight at the Cotton Bowl against favored Alabama. Since it's a night game I needed a campsite with electric hookups to run my laptop and 4G modem as I didn't want to stress the Tank's solar batteries for the three to four hours the game would last. (It's on ESPN so I can stream it) My plan had been to stay at one of the two Texas State Parks near Houston but I foolishly waited to secure a reservation and both parks were full for New Year's Eve. Using the online reservation tool Texas State Parks runs I was lucky to find a spot at Buescher State Park about 75 miles from Houston which I previously reviewed here: Buescher Park Review . Checking my 4G modem on arrival I was getting 3 bars so it should be a satisfactory streaming experience....I'm pumped for the game! 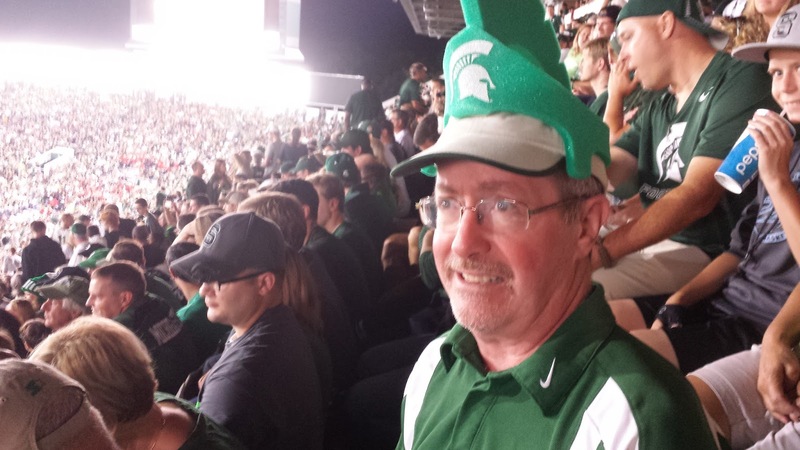 Me at a East Lansing game...wish it was me at the Cotton Bowl tonight! 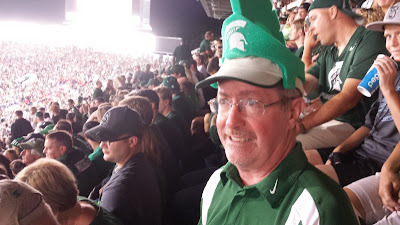 I won't have my fancy foam Sparty helmet on tonight but I will have my Spartan shirt in that picture. My three college buddies, Scott, Steve and Gary and I text back and forth commenting on the plays as the game goes on so it's a group-like experience even though I'm watching it solo in the Tank. I hope everybody has a safe and Happy New Year!